Between Kourtney Kardashian's tarantula infestation and Kim Kardashian's frustration with the press getting leaked information about her surrogate, the most interesting moments from Sunday's latest Keeping Up With the Kardashians came from Scott Disick's surprisingly endearing friendship with family matriarch, Kris Jenner. While she was hesitant at first -- out of a fear that Scott's access to the Big Apple nightlife might bring out his reckless side – she happily agreed and came up with a bunch of fun things for them to do together while at Fashion Week. "New York has always been such a temptation for Scott, and very, very much his dangerous playground," Kris admitted. "I can't force him to go to the things I’m going to, but at the same time, it’s going to stress me out because I don’t know what he’s going to be doing." "This is probably the first time I’ve been in New York that I’ve woken up at 7 or 8 o’clock every single day," Scott said. I almost have a newfound respect for me and New York. I talk to the kids every single day… so at least they know that I’m present and I’m talking to them." "I don’t think it’s any secret that’s Scott’s been dating," Kris said in a solo interview. "But he drops little hints here and there that make me think it’s might be a little more serious than I thought." "Kris really is like my mom to me, so I don’t ever feel like she’s putting me on the spot," Scott told the KUWTK camera. "But I don’t really feel comfortable talking to her about my personal or dating life." When Kris asked if Scott was planning on bringing Sofia around for the rest of the family to meet, Scott said it would be too "bizarre." "Are you, like, hanging out with Kourtney’s friend?" Scott asked, referring to his ex's new boyfriend, male model Younes Bendjima. While Kris said she wasn't, Scott still shied away from the rest of their conversation. 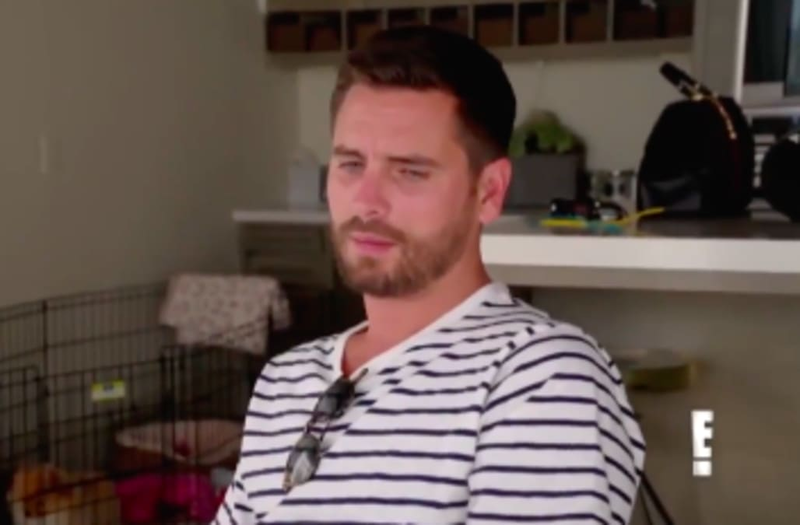 "As much as I'd like to be honest with her and tell her how I'm really feeling, I also do want to respect Kourtney and her feelings," Scott said in a solo interview. "Maybe down the line, but right now, my biggest thing is just being respectful of everybody." "To see that Kris is invested in my life means the world to me, because she’s got so many other kids and so many other things going on," Scott said in a solo interview. "So the fact that she actually worries, loves and cares about me is probably one of the best feelings I have."